Phoestivus is making it’s comeback this month! 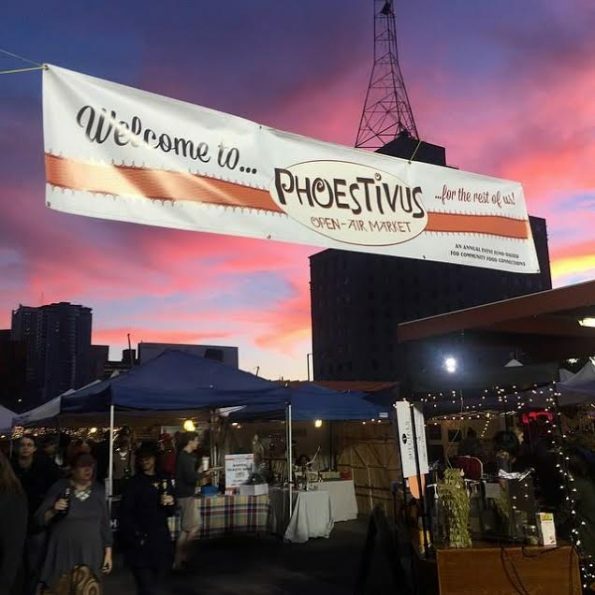 This year’s Phoestivus will be held on December 8th and 15th from 5:00 to 10:00 p.m. at Phoenix Public Market. 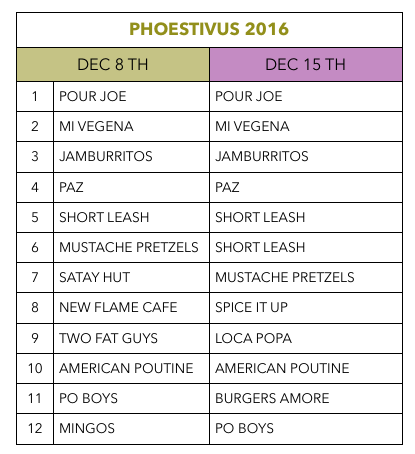 Inspired by the famous Weihnachtsmarkt (Christmas markets in Germany) and Seinfeld’s Festivus, a parody and secular holiday celebrated in an episode of the show, Phoestivus was born to be the perfect all-inclusive December celebration. The event features locally grown and produced gifts from more than 130 local vendors that showcase a variety of locally grown, produced and prepared foods. Additionally there will also be hand-crafted gift items, jewelry and holiday decorations by local artisans. Last year more than 6,000 participants and shoppers gathered in downtown Phoenix for these two nights of local shopping. Event organizers promise the 2016 event will be more fun, creative, local and diverse than ever. The Phoenix event boasts traditions like the Phoestivus Pole, Pheats of Strength, and the Airing of Grievances as well as Phoestivus Ale (brewed by Phoenix Ale Brewery), Phoestivus Reindeer (baby goats dolled up for the occasion) and a hipster Santa. Phoestivus began in 2009 and is the brainchild of Ken Clark from Get Your PHX. The holiday market is hosted by Get Your PHX and the Phoenix Public Market, a program of Community Food Connections. Phoenix Public Market is located at 721 N. Central Avenue in Downtown Phoenix, Arizona.